The exhibition “grow_ability” took place in Kim? / RIXC gallery from April 2 to May 8, 2011. 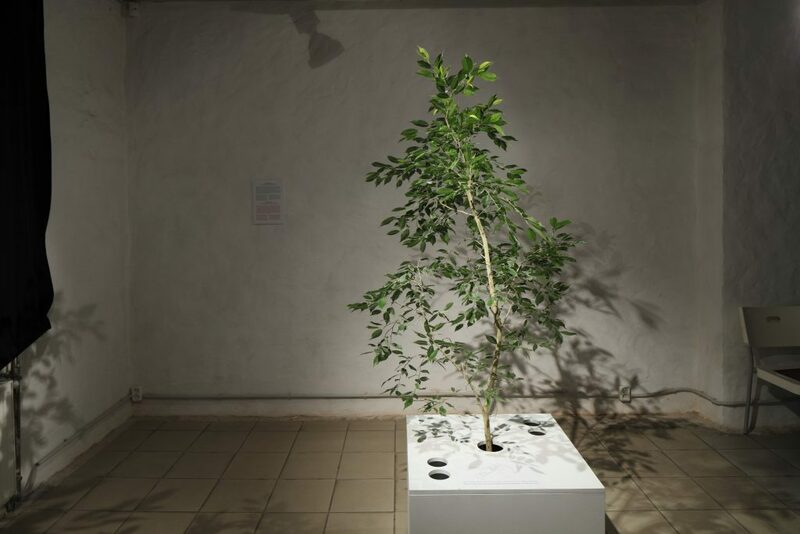 “grow_ability” is an interdisciplinary art exhibition exploring relations between nature and technology in the context of sustainable society. 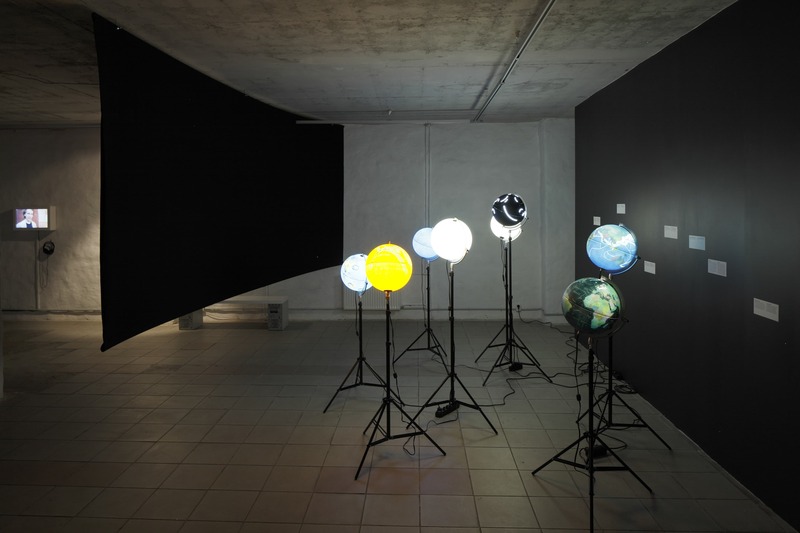 The artworks in the exhibition investigate the issues of sustainability in relation to our planet’s ecology and energy from the “food as energy” perspective. The exhibition features three installations: Super Meal by Erik Sjödin (SE), Folk Pharmacy by Serde (LV), and Talk to Me by RIXC artists collective (LV). Super Meal by Swedish artist Erik Sjödin drew attention to the aquatic plant Azolla – one of the worlds fastest growing plants, which is a rich source of nutrients, yet unexplored as food. In Super Meal artist experiments with Azolla food together with farmers, chefs and scientists and tries to get some insight into how our food is being produced today and how it can be produced in the future. Latvian artists and culture researchers Signe Pucena, Uģis Pucens, Ieva Vītola (Interdisciplinary Arts Group SERDE) and Aigars Lielbārdis (LU LFMI LFK, LU HZS) in the exhibition presented their project Folk Pharmacy – an artistic interpretation of the use of indoor and wild plants as food and folk medicine. Artists introduce to plant foraging cultural traditions today and invite to turn gifts of nature and our knowledge about them into useful source of energy – and to think of our balcony or windowsill as a garden or pharmacy. Artists Raitis Šmits, Rasa Šmite and Mārtiņš Ratniks exhibited the most recent project by RIXC – Talk to Me (Long Bean 2011). Nowadays scientists have experimented to examine the old assumption that plants which had been talked to grow better. RIXC has developed online interface through which one can talk to plants via the Internet. Project is a continuation of the social participatory art campaign “Long Bean” (co-produced by RIXC and NTIL), which was based on the idea – “grow your our own vegetables!”. This year RIXC also will grow its own vegetables, but this time we invite you to join the experiment – “to talk” with plants thus helping “long beans” to grow faster, better and longer. Installation in Riga is the second phase of this ongoing project, which started in Helsinki during Pixelache festival in March. The final stage of the project will be presented as a part of RIXC’s installation “Renew-ability” in KUMU Tallinn this summer. Artists participating in the exhibition are also founders and active members of the recently founded Baltic-Nordic transdisciplinary collaboration initative – Renewable Network. Renewable Network is a platform for artists, who in their quest for a sustainable future are using networking strategies, participatory culture tactics and cross-disciplinary approach. Artists of Renewable Network combine art with science, technology – with nature, social activism – with urban gardening, food production – with open information systems, cultural heritage – with search for alternative energy, etc., thus claiming that the future scenario of a sustainable world can only suceed, if we become more open to new ideas and new collaborations. Exhibition was organised by The Centre for New Media Culture RIXC in the framework of the Baltic-Nordic collaboration project “Art as Research: Energy” supported by Nordic Culture Point. The exhibition is also supported by State Cultural Capital Foundation of Latvia.